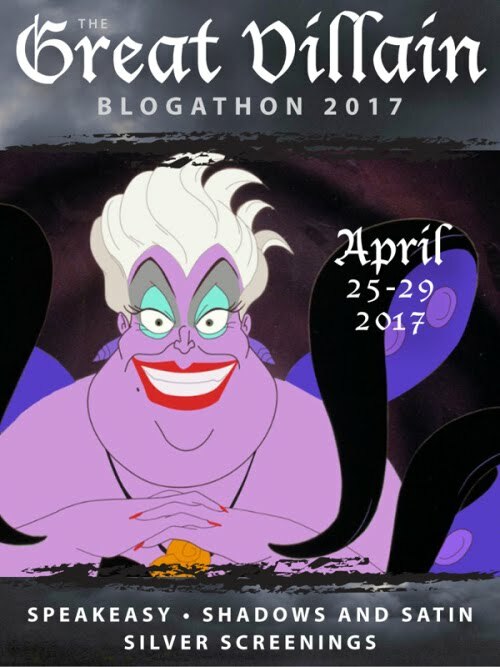 Okay, we're looking at a weird one today! 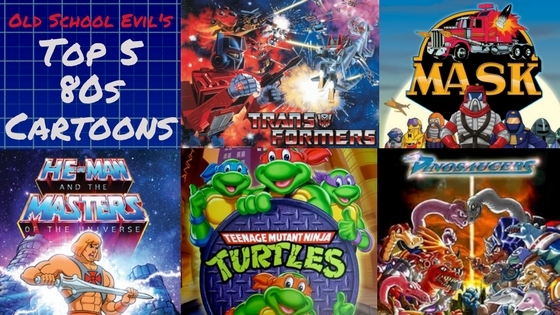 This show came in the third wave of cartoons I came up with for Old School Evil. 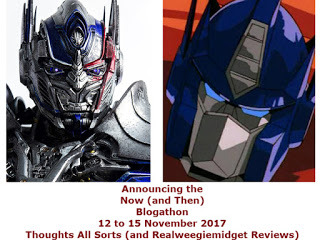 I'd come up with all sorts of cartoons featuring humans and mutants and robots but I've never come up with one inspired from my favorite cartoon - Transformers! I wanted some big vehicles that turned into something besides two-legged robots; All of my cartoons feature humanoid characters. What else could they turn into though? 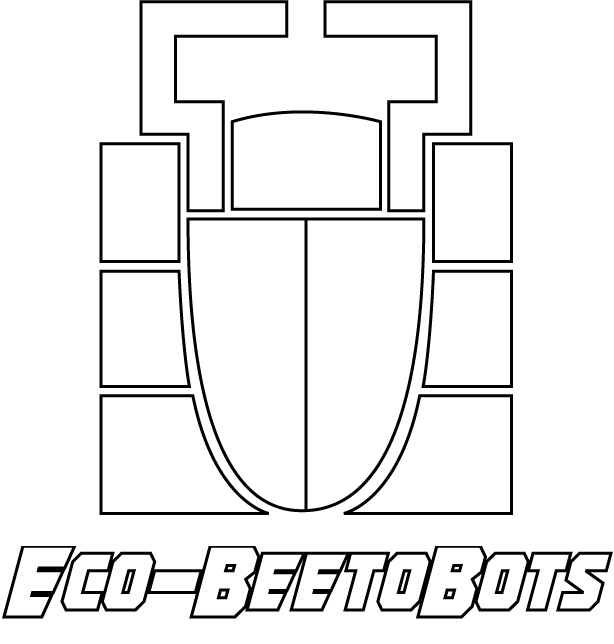 I've always been fascinated with bugs, so I put the two together and come up with the Eco-Beetobots! When a magical forest is threatened by commercial development, the smallest inhabitants want to protect it. 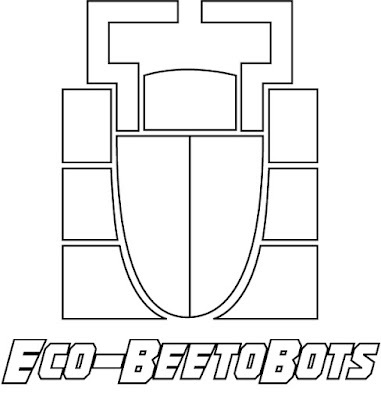 Five of the strongest beetles are merged with the construction equipment surrounding the forest and creating the Eco-BeetoBots. The bots are able to change shape from the original vehicles into monstrous versions of their former insectoid selves. Each beetle took the vehicle closest to their original form, like the Hercules beetle becoming a crane and the dung beetle changing into a cement mixer. They don't combine like their Constructicon inspiration, but that's fine with me. Their enemies are the evil Onyx Corporation, who care nothing for natural life. They're coming next week though! For now, check out the production bible! In the Olympic National Park, the forest floor is rocked as dump trucks, steam shovels, and bulldozers rip trees from their roots and level the ground. Wildlife runs from the forest, leaving their homes behind before they’re destroyed. The smallest denizens of the forest, the insect kingdom go to the oldest tree in the forest, the Wise Sequoia, and ask for a miracle. The tree responds by asking for the strongest volunteers to hold back the attackers. Stagger the beetle leads his four friends to her and the Wise Sequoia merges them with the construction vehicles, allowing them to become giant metal beetles and defend the forest as the Eco-Beetobots! The makers of the Eco-Beetobots want to show the natural beauty of the Earth and its need to stay preserved. Encroaching civilization threatens millions of acres of forest around the world, from the Amazon to close to home, and needs defenders to keep them free from devastation. Though the Eco-Beetobots are willing to protect their forest, they should be shown using their powers to build defensive measures against their enemies and not directly fighting them. The Eco-Beetobots are engineers above all else, able to build anything they work together at. The Eco-Beetobots are the strongest of the insect kingdom, but they’re also incredibly smart. When they work together, they’re capable of incredible structures. Now that they’re giant, they’re capable of even bigger and strong things – there’s no limit to what they can build! Stagger the Stag Beetle becomes a bulldozer – The leader of the team, calm, collected, very good at getting his team to work together. He’s the oldest of the group and most experienced figuring out ways around problems. Rhazer the Rhinoceros beetle becomes a steam shovel – The most eager of the group, whether it is to build something or fight something. Always thinks fighting is the easiest way to beat a problem, has to be reminded that there are other options. Hefter the Hercules Beetle becomes a crane – He’s the smartest of the group, able to come up with incredible designs, but he’s too lazy to implement his ideas. Has to be constantly pushed to keep working. Hates having to explain his ideas because he doesn’t think others will understand. Hauler the Triceratops Beetle becomes a dump truck – He’s slow and quiet, and worst of all, he’s a grump. He knows his job is to just haul things, but isn’t expected to contribute to the group’s ideas. He tries to offer advice to the group, but grumbles when they don’t listen. Drummer the Dung Beetle becomes a cement mixer – He’s messy, obnoxious, and forgetful – the cause of a lot of problems the Eco-Beetobots have in their constructions. He’s extremely nice to the others though and very often just throws out a random suggestion that solves the problem the groups is trying to figure out.